Wednesday, May 6, 2015, 7 p.m.
Is it possible to write something visceral by distorting grammar into a new language? 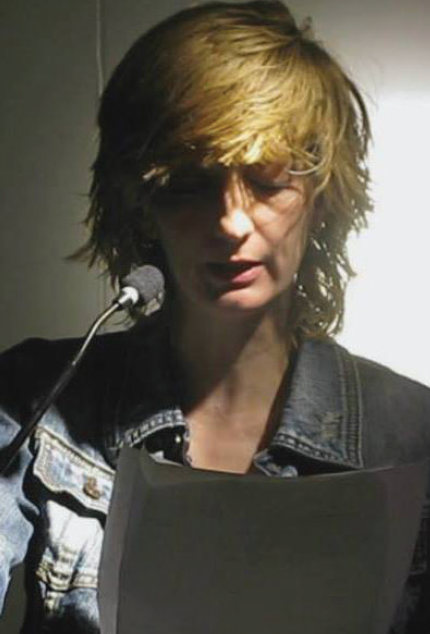 Find out at May’s Williams Reading, when the Red Wheelbarrow presents Amy King, our featured poet for the month. From such a successful poet, you might be surprised to hear such daring and challenging work. King joins the ranks of Ann Patchett, Eleanor Roosevelt, Rachel Carson and Pearl Buck as the winner of the 2015 WNBA Award (Women’s National Book Association). She was also honored by The Feminist Press as one of the “40 Under 40: The Future of Feminism” awardees, and she received the 2012 SUNY Chancellor’s Award for Excellence in Scholarship and Creative Activities. Your mouth is full of noise and I live the anomaly. fuckworthy art. Because the rest is truly useless. her flesh or ripped her heart’s skin to tell them something. “Blood and sinew,” remember you’re making a mistake. We are not edges of limbs or the heart’s smarts only.